This man of passion and faith, of the highest intelligence and tireless in his pastoral care, a great Saint and Doctor of the Church is often known, at least by hearsay, even by those who ignore Christianity or who are not familiar with it, because he left a very deep mark on the cultural life of the West and on the whole world. Because of his special importance St Augustine’s influence was widespread. It could be said on the one hand that all the roads of Latin Christian literature led to Hippo (today Annaba, on the coast of Algeria), the place where he was Bishop from 395 to his death in 430, and, on the other, that from this city of Roman Africa, many other roads of later Christianity and of Western culture itself branched out. A civilization has seldom encountered such a great spirit who was able to assimilate Christianity’s values and exalt its intrinsic wealth, inventing ideas and forms that were to nourish the future generations, as Paul VI also stressed: “It may be said that all the thought-currents of the past meet in his works and form the source which provides the whole doctrinal tradition of succeeding ages” (Inaugural Address at the Patristic Institute of the “Augustinianum”, 4 May 1970; L’Osservatore Romano English edition, 21 May 1970, p. 8). Augustine is also the Father of the Church who left the greatest number of works. Possidius, his biographer, said that it seemed impossible that one man could have written so many things in his lifetime. We shall speak of these different works at one of our meetings soon. Today, we shall focus on his life, which is easy to reconstruct from his writings, in particular the Confessions, his extraordinary spiritual autobiography written in praise of God. This is his most famous work; and rightly so, since it is precisely Augustine’s Confessions, with their focus on interiority and psychology, that constitute a unique model in Western (and not only Western) literature—including non-religious literature—up to modern times. This attention to the spiritual life, to the mystery of the “I”, to the mystery of God who is concealed in the “I”, is something quite extraordinary, without precedent, and remains for ever, as it were, a spiritual “peak”. But to come back to his life: Augustine was born in Tagaste in the Roman Province of Numidia, Africa, on 13 November 354 to Patricius, a pagan who later became a catechumen, and Monica, a fervent Christian. This passionate woman, venerated as a saint, exercised an enormous influence on her son and raised him in the Christian faith. Augustine had also received the salt, a sign of acceptance in the catechumenate, and was always fascinated by the figure of Jesus Christ; indeed, he said that he had always loved Jesus but had drifted further and further away from ecclesial faith and practice, as also happens to many young people today. Augustine also had a brother, Navigius, and a sister whose name is unknown to us and who, after being widowed subsequently became the head of a monastery for women. As a boy with a very keen intelligence, Augustine received a good education although he was not always an exemplary student. However, he learned grammar well, first in his native town and then in Madaura, and from 370, he studied rhetoric in Carthage, the capital of Roman Africa. He mastered Latin perfectly but was not quite as successful with Greek and did not learn Punic, spoken by his contemporaries. It was in Carthage itself that for the first time Augustine read theHortensius, a writing by Cicero later lost, an event that can be placed at the beginning of his journey towards conversion. In fact, Cicero’s text awoke within him love for wisdom, as, by then a Bishop, he was to write in his Confessions: “The book changed my feelings”, to the extent that “every vain hope became empty to me, and I longed for the immortality of wisdom with an incredible ardour in my heart” (III, 4, 7). However, since he was convinced that without Jesus the truth cannot be said effectively to have been found and since Jesus’ Name was not mentioned in this book, immediately after he read it he began to read Scripture, the Bible. But it disappointed him. This was not only because the Latin style of the translation of the Sacred Scriptures was inadequate but also because to him their content itself did not seem satisfying. In the scriptural narratives of wars and other human vicissitudes, he discovered neither the loftiness of philosophy nor the splendour of the search for the truth which is part of it. Yet he did not want to live without God and thus sought a religion which corresponded to his desire for the truth and also with his desire to draw close to Jesus. Thus, he fell into the net of the Manicheans, who presented themselves as Christians and promised a totally rational religion. They said that the world was divided into two principles: good and evil. And in this way the whole complexity of human history can be explained. Their dualistic morals also pleased St Augustine, because it included a very high morality for the elect: and those like him who adhered to it could live a life better suited to the situation of the time, especially for a young man. He therefore became a Manichean, convinced at that time that he had found the synthesis between rationality and the search for the truth and love of Jesus Christ. Manicheanism also offered him a concrete advantage in life: joining the Manicheans facilitated the prospects of a career. By belonging to that religion, which included so many influential figures, he was able to continue his relationship with a woman and to advance in his career. By this woman he had a son, Adeodatus, who was very dear to him and very intelligent, who was later to be present during the preparation for Baptism near Lake Como, taking part in those “Dialogues” which St Augustine has passed down to us. The boy unfortunately died prematurely. Having been a grammar teacher since his twenties in the city of his birth, he soon returned to Carthage, where he became a brilliant and famous teacher of rhetoric. However, with time Augustine began to distance himself from the faith of the Manicheans. They disappointed him precisely from the intellectual viewpoint since they proved incapable of dispelling his doubts. He moved to Rome and then to Milan, where the imperial court resided at that time and where he obtained a prestigious post through the good offices and recommendations of the Prefect of Rome, Symmacus, a pagan hostile to St Ambrose, Bishop of Milan. In Milan, Augustine acquired the habit of listening – at first for the purpose of enriching his rhetorical baggage – to the eloquent preaching of Bishop Ambrose, who had been a representative of the Emperor for Northern Italy. The African rhetorician was fascinated by the words of the great Milanese Prelate; and not only by his rhetoric. It was above all the content that increasingly touched Augustine’s heart. The great difficulty with the Old Testament, because of its lack of rhetorical beauty and lofty philosophy was resolved in St Ambrose’s preaching through his typological interpretation of the Old Testament: Augustine realized that the whole of the Old Testament was a journey toward Jesus Christ. Thus, he found the key to understanding the beauty and even the philosophical depth of the Old Testament and grasped the whole unity of the mystery of Christ in history, as well as the synthesis between philosophy, rationality and faith in the Logos, in Christ, the Eternal Word who was made flesh. Augustine soon realized that the allegorical interpretation of Scripture and the Neo-Platonic philosophy practised by the Bishop of Milan enabled him to solve the intellectual difficulties which, when he was younger during his first approach to the biblical texts, had seemed insurmountable to him. Thus, Augustine followed his reading of the philosophers’ writings by reading Scripture anew, especially the Pauline Letters. His conversion to Christianity on 15 August 386 therefore came at the end of a long and tormented inner journey – of which we shall speak in another catechesis -, and the African moved to the countryside, north of Milan by Lake Como – with his mother Monica, his son Adeodatus and a small group of friends – to prepare himself for Baptism. So it was that at the age of 32 Augustine was baptized by Ambrose in the Cathedral of Milan on 24 April 387, during the Easter Vigil. After his Baptism, Augustine decided to return to Africa with his friends, with the idea of living a community life of the monastic kind at the service of God. However, while awaiting their departure in Ostia, his mother fell ill unexpectedly and died shortly afterwards, breaking her son’s heart. Having returned to his homeland at last, the convert settled in Hippo for the very purpose of founding a monastery. In this city on the African coast he was ordained a priest in 391, despite his reticence, and with a few companions began the monastic life which had long been in his mind, dividing his time between prayer, study and preaching. All he wanted was to be at the service of the truth. He did not feel he had a vocation to pastoral life but realized later that God was calling him to be a pastor among others and thus to offer people the gift of the truth. He was ordained a Bishop in Hippo four years later, in 395. Augustine continued to deepen his study of Scripture and of the texts of the Christian tradition and was an exemplary Bishop in his tireless pastoral commitment: he preached several times a week to his faithful, supported the poor and orphans, supervised the formation of the clergy and the organization of mens’ and womens’ monasteries. In short, the former rhetorician asserted himself as one of the most important exponents of Christianity of that time. He was very active in the government of his Diocese – with remarkable, even civil, implications – in the more than 35 years of his Episcopate, and the Bishop of Hippo actually exercised a vast influence in his guidance of the Catholic Church in Roman Africa and, more generally, in the Christianity of his time, coping with religious tendencies and tenacious, disruptive heresies such as Manichaeism, Donatism and Pelagianism, which endangered the Christian faith in the one God, rich in mercy. And Augustine entrusted himself to God every day until the very end of his life: smitten by fever, while for almost three months his Hippo was being besieged by vandal invaders, the Bishop – his friend Possidius recounts in his Vita Augustini – asked that the penitential psalms be transcribed in large characters, “and that the sheets be attached to the wall, so that while he was bedridden during his illness he could see and read them and he shed constant hot tears” (31, 2). This is how Augustine spent the last days of his life. He died on 28 August 430, when he was not yet 76. We will devote our next encounters to his work, his message and his inner experience. He chose to appoint his successor four years before he died. Thus, on 26 September 426, he gathered the people in the Basilica of Peace at Hippo to present to the faithful the one he had designated for this task. He said: “In this life we are all mortal, and the day which shall be the last of life on earth is to every man at all times uncertain; but in infancy there is hope of entering boyhood… looking forward from boyhood to youth, from youth to manhood and from manhood to old age; whether these hopes may be realized or not is uncertain, but there is in each case something which may be hoped for. But old age has no other period of this life to look forward to with expectation: in any case, how long old age may be prolonged is uncertain…. I came to this town – for such was the will of God – when I was in the prime of life. I was young then, but now I am old” (Ep 213, 1). At this point Augustine named the person he had chosen as his successor, the presbyter Heraclius. The assembly burst into an applause of approval, shouting 23 times, “To God be thanks! To Christ be praise!”. With other acclamations the faithful also approved what Augustine proposed for his future: he wanted to dedicate the years that were left to him to a more intense study of Sacred Scripture (cf. Ep 213, 6). Indeed, what followed were four years of extraordinary intellectual activity: he brought important works to conclusion, he embarked on others, equally demanding, held public debates with heretics – he was always seeking dialogue – and intervened to foster peace in the African provinces threatened by barbarian southern tribes. He wrote about this to Count Darius, who had come to Africa to settle the disagreement between Boniface and the imperial court which the tribes of Mauritania were exploiting for their incursions: “It is a higher glory still”, he said in his letter, “to stay war itself with a word, than to slay men with the sword, and to procure or maintain peace by peace, not by war. For those who fight, if they are good men, doubtlessly seek peace; nevertheless, it is through blood. Your mission, however, is to prevent the shedding of blood” (Ep 229, 2). Unfortunately, the hope of pacification in the African territories was disappointed; in May 429, the Vandals, whom out of spite Boniface had invited to Africa, passed the straits of Gibraltar and streamed into Mauritania. The invasion rapidly reached the other rich African provinces. In May or June 430, “the destroyers of the Roman Empire”, as Possidius described these barbarians (Vita, 30, 1), were surrounding and besieging Hippo. Boniface had also sought refuge in the city. Having been reconciled with the court too late, he was now trying in vain to block the invaders’ entry. Possidius, Augustine’s biographer, describes Augustine’s sorrow: “More tears than usual were his bread, night and day, and when he had reached the very end of his life, his old age caused him, more than others, grief and mourning (Vita, 28, 6). And he explains: “Indeed, that man of God saw the massacres and the destruction of the city; houses in the countryside were pulled down and the inhabitants killed by the enemy or put to flight and dispersed. Private churches belonging to priests and ministers were demolished, sacred virgins and Religious scattered on every side; some died under torture, others were killed by the sword, still others taken prisoner, losing the integrity of their soul and body and even their faith, reduced by their enemies to a long, drawn-out and painful slavery” (ibid., 28, 8). Despite being old and weary, Augustine stood in the breach, comforting himself and others with prayer and meditation on the mysterious designs of Providence. In this regard, he spoke of the “old-age of the world” – and this Roman world was truly old -, he spoke of this old age as years earlier he had spoken to comfort the refugees from Italy when Alaric’s Goths had invaded the city of Rome in 410. In old age, he said, ailments proliferate: coughs, catarrh, bleary eyes, anxiety and exhaustion. Yet, if the world grows old, Christ is perpetually young; hence, the invitation: “Do not refuse to be rejuvenated united to Christ, even in the old world. He tells you: Do not fear, your youth will be renewed like that of the eagle” (cf. Serm. 81, 8). Thus, the Christian must not lose heart, even in difficult situations, but rather he must spare no effort to help those in need. This is what the great doctor suggested in his response to Honoratus, Bishop of Tiabe, who had asked him whether a Bishop or a priest or any man of the Church with the barbarians hot on his heels could flee to save his life: “When danger is common to all, that is, for Bishops, clerics and lay people, may those who need others not be abandoned by the people whom they need. In this case, either let all depart together to safe places or let those who must remain not be deserted by those through whom, in things pertaining to the Church, their necessities must be provided for; and so let them share life in common, or share in common that which the Father of their family appoints them to suffer” (Ep 228, 2). And he concluded: “Such conduct is especially the proof of love” (ibid., 3). How can we fail to recognize in these words the heroic message that so many priests down the centuries have welcomed and made their own? In the meantime, the city of Hippo resisted. Augustine’s monastery-home had opened its doors to welcome episcopal colleagues who were asking for hospitality. Also of this number was Possidius, a former disciple of Augustine; he was able to leave us his direct testimony of those last dramatic days. “In the third month of that siege”, Possidius recounts, “Augustine took to his bed with a fever: it was his last illness” (Vita, 29, 3). The holy old man made the most of that period when he was at last free to dedicate himself with greater intensity to prayer. He was in the habit of saying that no one, Bishop, Religious or layman, however irreprehensible his conduct might seem, can face death without adequate repentance. For this reason he ceaselessly repeated between his tears, the penitential psalms he had so often recited with his people (cf. ibid., 31, 2). The worse his illness became, the more the dying Bishop felt the need for solitude and prayer: “In order that no one might disturb him in his recollection, about 10 days before leaving his body, he asked those of us present not to let anyone into his room outside the hours in which the doctors came to visit him or when his meals were brought. His desire was minutely complied with and in all that time he devoted himself to prayer” (ibid., 31, 3). He breathed his last on 28 August 430: his great heart rested at last in God. “For the last rites of his body”, Possidius informs us, “the sacrifice in which we took part was offered to God and then he was buried” (Vita, 31, 5). His body on an unknown date was translated to Sardinia, and from here, in about 725, to the Basilica of San Pietro in Ciel d’Oro in Pavia, where it still rests today. His first biographer has this final opinion of him: “He bequeathed to his Church a very numerous clergy and also monasteries of men and women full of people who had taken vows of chastity under the obedience of their superiors, as well as libraries containing his books and discourses and those of other saints, from which one learns what, through the grace of God, were his merits and greatness in the Church, where the faithful always find him alive” (Possidius, Vita, 31, 8). This is an opinion in which we can share. We too “find him alive” in his writings. When I read St Augustine’s writings, I do not get the impression that he is a man who died more or less 1,600 years ago; I feel he is like a man of today: a friend, a contemporary who speaks to me, who speaks to us with his fresh and timely faith. In St Augustine who talks to us, talks to me in his writings, we see the everlasting timeliness of his faith; of the faith that comes from Christ, the Eternal Incarnate Word, Son of God and Son of Man. And we can see that this faith is not of the past although it was preached yesterday; it is still timely today, for Christ is truly yesterday, today and for ever. He is the Way, the Truth and the Life. Thus, St Augustine encourages us to entrust ourselves to this ever-living Christ and in this way find the path of life. 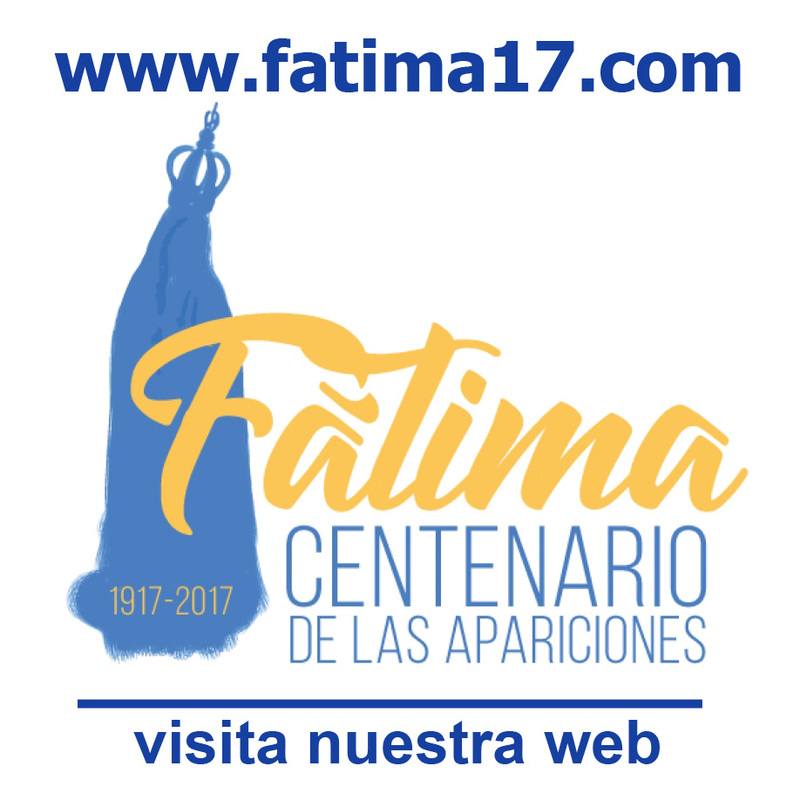 In 1986, the 16th centenary of his conversion, John Paul II dedicated a long, full Document to him, the Apostolic Letter Augustinum Hipponensem. The Pope himself chose to describe this text as “a thanksgiving to God for the gift that he has made to the Church, and through her to the whole human race”. I would like to return to the topic of conversion at another Audience. It is a fundamental theme not only for Augustine’s personal life but also for ours. In last Sunday’s Gospel the Lord himself summed up his preaching with the word: “Repent”. By following in St Augustine’s footsteps, we will be able to meditate on what this conversion is: it is something definitive, decisive, but the fundamental decision must develop, be brought about throughout our life. Today’s Catechesis, however, is dedicated to the subject of faith and reason, a crucial, or better, the crucial theme for St Augustine’s biography. As a child he learned the Catholic faith from Monica, his mother. But he abandoned this faith as an adolescent because he could no longer discern its reasonableness and rejected a religion that was not, to his mind, also an expression of reason, that is, of the truth. His thirst for truth was radical and therefore led him to drift away from the Catholic faith. Yet his radicalism was such that he could not be satisfied with philosophies that did not go to the truth itself, that did not go to God and to a God who was not only the ultimate cosmological hypothesis but the true God, the God who gives life and enters into our lives. Thus, Augustine’s entire intellectual and spiritual development is also a valid model today in the relationship between faith and reason, a subject not only for believers but for every person who seeks the truth, a central theme for the balance and destiny of every human being. These two dimensions, faith and reason, should not be separated or placed in opposition; rather, they must always go hand in hand. As Augustine himself wrote after his conversion, faith and reason are “the two forces that lead us to knowledge” (Contra Academicos, III, 20, 43). In this regard, through the two rightly famous Augustinian formulas (cf. Sermones,43, 9) that express this coherent synthesis of faith and reason: crede ut intelligas (“I believe in order to understand”) – believing paves the way to crossing the threshold of the truth – but also, and inseparably, intellige ut credas (“I understand, the better to believe”), the believer scrutinizes the truth to be able to find God and to believe. Augustine’s two affirmations express with effective immediacy and as much corresponding depth the synthesis of this problem in which the Catholic Church sees her own journey expressed. This synthesis had been acquiring its form in history even before Christ’s coming, in the encounter between the Hebrew faith and Greek thought in Hellenistic Judaism. At a later period this synthesis was taken up and developed by many Christian thinkers. The harmony between faith and reason means above all that God is not remote: he is not far from our reason and our life; he is close to every human being, close to our hearts and to our reason, if we truly set out on the journey. Augustine felt this closeness of God to man with extraordinary intensity. God’s presence in man is profound and at the same time mysterious, but he can recognize and discover it deep down inside himself. “Do not go outside”, the convert says, but “return to within yourself; truth dwells in the inner man; and if you find that your nature is changeable, transcend yourself. But remember, when you transcend yourself, you are transcending a soul that reasons. Reach, therefore, to where the light of reason is lit” (De vera religione, 39, 72). It is just like what he himself stresses with a very famous statement at the beginning of the Confessions, a spiritual biography which he wrote in praise of God: “You have made us for yourself, and our heart is restless until it rests in you” (I, 1, 1). God’s remoteness is therefore equivalent to remoteness from oneself: “But”, Augustine admitted (Confessions, III, 6, 11), addressing God directly, “you were more inward than my most inward part and higher than the highest element within me”, interior intimo meo et superior summo meo; so that, as he adds in another passage remembering the period before his conversion, “you were there before me, but I had departed from myself. I could not even find myself, much less you” (Confessions, V, 2, 2). Precisely because Augustine lived this intellectual and spiritual journey in the first person, he could portray it in his works with such immediacy, depth and wisdom, recognizing in two other famous passages from the Confessions (IV, 4, 9 and 14, 22), that man is “a great enigma” (magna quaestio) and “a great abyss” (grande profundum), an enigma and an abyss that only Christ can illuminate and save us from. This is important: a man who is distant from God is also distant from himself, alienated from himself, and can only find himself by encountering God. In this way he will come back to himself, to his true self, to his true identity. The human being, Augustine stresses later in De Civitate Dei (XII, 27), is social by nature but antisocial by vice and is saved by Christ, the one Mediator between God and humanity and the “universal way of liberty and salvation”, as my Predecessor John Paul II said (Augustinum Hipponensem, n. 3). Outside this way, “which has never been lacking for the human race”, St Augustine says further, “no one has been set free, no one will be set free” (De Civitate Dei, X, 32, 2). As the one Mediator of salvation Christ is Head of the Church and mystically united with her to the point that Augustine could say: “We have become Christ. For, if he is the Head, we, the members; he and we together are the whole man” (In Iohannis evangelium tractatus, 21, 8). People of God and house of God: the Church in Augustine’s vision is therefore closely bound to the concept of the Body of Christ, founded on the Christological reinterpretation of the Old Testament and on the sacramental life centred on the Eucharist, in which the Lord gives us his Body and transforms us into his Body. It is then fundamental that the Church, the People of God in a Christological and not a sociological sense, be truly inserted into Christ, who, as Augustine says in a beautiful passage, “prays for us, prays in us and prays by us; he prays for us as our priest, he prays in us as our head, and he prays by us as our God: let us therefore recognize him as our voice and ourselves as his” (Enarrationes in Psalmos, 85, 1). At the end of the Apostolic Letter Augustinum Hipponensem, John Paul II wished to ask the Saint himself what he would have to say to the people of today and answers first of all with the words Augustine entrusted to a letter dictated shortly after his conversion: “It seems to me that the hope of finding the truth must be restored to humankind” (Epistulae, 1, 1); that truth which is Christ himself, true God, to whom is addressed one of the most beautiful prayers and most famous of the Confessions (X, 27, 38): “Late have I loved you, beauty so old and so new: late have I loved you. And see, you were within and I was in the external world and sought you there, and in my unlovely state I plunged into those lovely created things which you made. You were with me, and I was not with you. The lovely things kept me far from you, though if they did not have their existence in you, they had no existence at all. “You called and cried aloud and shattered my deafness. You were radiant and resplendent, you put to flight my blindness. You were fragrant, and I drew in my breath and now pant after you. I tasted you, and I feel but hunger and thirst for you. You touched me, and I am set on fire to attain the peace which is yours”. Here then, Augustine encountered God and throughout his life experienced him to the point that this reality – which is primarily his meeting with a Person, Jesus – changed his life, as it changes the lives of everyone, men and women, who in every age have the grace to encounter him. Let us pray that the Lord will grant us this grace and thereby enable us to find his peace. He is the Father of the Church who left us the greatest number of works and I intend to speak briefly of them today. Some of Augustine’s writings were of major importance, not only for the history of Christianity but also for the formation of the whole of Western culture. The clearest example is the Confessiones, undoubtedly one of the most widely read books of Christian antiquity. Like various Fathers of the Church in the first centuries but on an incomparably larger scale, the Bishop of Hippo in fact exercised an extensive and persistent influence, as already appears from the superabundant manuscript transcriptions of his works, which are indeed extremely numerous. He reviewed them himself in the Retractationum several years before he died, and shortly after his death they were correctly recorded in the Indiculus (“list”) added by his faithful friend Possidius to his biography of St Augustine, Vita Augustini. The list of Augustine’s works was drafted with the explicit intention of keeping their memory alive while the Vandal invasion was sweeping through all of Roman Africa, and it included at least 1,030 writings numbered by their Author, with others “that cannot be numbered because he did not give them any number”. Possidius, the Bishop of a neighbouring city, dictated these words in Hippo itself – where he had taken refuge and where he witnessed his friend’s death -, and it is almost certain that he based his list on the catalogue of Augustine’s personal library. Today, more than 300 letters of the Bishop of Hippo and almost 600 homilies are extant, but originally there were far more, perhaps even as many as between 3,000 and 4,000, the result of 40 years of preaching by the former rhetorician who had chosen to follow Jesus and no longer to speak to important figures of the imperial court, but rather, to the simple populace of Hippo. And in recent years the discoveries of a collection of letters and several homilies have further enriched our knowledge of this great Father of the Church. “He wrote and published many books”, Possidius wrote, “many sermons were delivered in church, transcribed and corrected, both to refute the various heresies and to interpret the Sacred Scriptures for the edification of the holy children of the Church. These works”, his Bishop-friend emphasized, “are so numerous that a scholar would find it difficult to read them all and learn to know them” (Vita Augustini, 18, 9). In the literary corpus of Augustine – more than 1,000 publications divided into philosophical, apologetic, doctrinal, moral, monastic, exegetic and anti-heretical writings in addition precisely to the letters and homilies – certain exceptional works of immense theological and philosophical breadth stand out. First of all, it is essential to remember the Confessiones mentioned above, written in 13 books between 397 and 400 in praise of God. They are a sort of autobiography in the form of a dialogue with God. This literary genre actually mirrors St Augustine’s life, which was not one closed in on itself, dispersed in many things, but was lived substantially as a dialogue with God, hence, a life with others. The title “Confessiones” indicates the specific nature of this autobiography. In Christian Latin this word, confessiones, developed from the tradition of the Psalms and has two meanings that are nevertheless interwoven. In the first place confessiones means the confession of our own faults, of the wretchedness of sin; but at the same time, confessiones also means praise of God, thanksgiving to God. Seeing our own wretchedness in the light of God becomes praise to God and thanksgiving, for God loves and accepts us, transforms us and raises us to himself. Of theseConfessiones, which met with great success during his lifetime, St Augustine wrote: “They exercised such an influence on me while I was writing them and still exercise it when I reread them. Many brothers like these works” (Retractationum, II, 6); and I can say that I am one of these “brothers”. Thanks to the Confessiones, moreover, we can follow step by step the inner journey of this extraordinary and passionate man of God. A less well-known but equally original and very important text is the Retractationum,composed in two books in about 427 A.D., in which St Augustine, by then elderly, set down a “revision” (retractatio) of his entire opus, thereby bequeathing to us a unique and very precious literary document but also a teaching of sincerity and intellectual humility. De Civitate Dei – an impressive work crucial to the development of Western political thought and the Christian theology of history – was written between 413 and 426 in 22 books. The occasion was the sack of Rome by the Goths in 410. Numerous pagans still alive and also many Christians said: Rome has fallen; the Christian God and the Apostles can now no longer protect the city. While the pagan divinities were present, Rome was the caput mundi, the great capital, and no one could have imagined that it would fall into enemy hands. Now, with the Christian God, this great city no longer seemed safe. Therefore, the God of the Christians did not protect, he could not be the God to whom to entrust oneself. St Augustine answered this objection, which also touched Christian hearts profoundly, with this impressive work, De Civitate Dei, explaining what we should and should not expect of God, and what the relationship is between the political sphere and the sphere of faith, of the Church. This book is also today a source for defining clearly between true secularism and the Church’s competence, the great true hope that the faith gives to us. This important book presents the history of humanity governed by divine Providence but currently divided by two loves. This is the fundamental plan, its interpretation of history, which is the struggle between two loves: love of self, “to the point of indifference to God”, and love of God, “to the point of indifference to the self” (De Civitate Dei XIV, 28), to full freedom from the self for others in the light of God. This, therefore, is perhaps St Augustine’s greatest book and is of lasting importance. Equally important is the De Trinitate, a work in 15 books on the central core of the Christian faith, faith in the Trinitarian God. It was written in two phases: the first 12 books between 399 and 412, published without the knowledge of Augustine, who in about 420 completed and revised the entire work. Here he reflects on the Face of God and seeks to understand this mystery of God who is unique, the one Creator of the world, of us all, and yet this one God is precisely Trinitarian, a circle of love. He seeks to understand the unfathomable mystery: the actual Trinitarian being, in three Persons, is the most real and profound unity of the one God. De Doctrina Christiana is instead a true and proper cultural introduction to the interpretation of the Bible and ultimately of Christianity itself, which had a crucial importance in the formation of Western culture. Despite all his humility, Augustine must certainly have been aware of his own intellectual stature. Yet it was far more important to him to take the Christian message to the simple than to write lofty theological works. This deepest intention of his that guided his entire life appears in a letter written to his colleague Evodius, in which he informs him of his decision to suspend the dictation of the books of De Trinitate for the time being, “because they are too demanding and I think that few can understand them; it is therefore urgent to have more texts which we hope will be useful to many” (Epistulae 169, 1, 1). Thus, it served his purpose better to communicate the faith in a manner that all could understand rather than to write great theological works. The responsibility he felt acutely with regard to the popularization of the Christian message was later to become the origin of writings such as De Catechizandis Rudibus, a theory and also a method of catechesis, or the Psalmus contra Partem Donati. The Donatists were the great problem of St Augustine’s Africa, a deliberately African schism. They said: true Christianity is African Christianity. They opposed Church unity. The great Bishop fought against this schism all his life, seeking to convince the Donatists that only in unity could “Africanness” also be true. And to make himself understood by the simple, who could not understand the difficult Latin of the rhetorician, he said: I must even write with grammatical errors, in a very simplified Latin. And he did so, especially in this Psalmus, a sort of simple poem against the Donatists, in order to help all the people understand that it is only through Church unity that our relationship with God may be truly fulfilled for all and that peace may grow in the world. The mass of homilies that he would often deliver “off the cuff”, transcribed by tachygraphers during his preaching and immediately circulated, had a special importance in this production destined for a wider public. The very beautiful Enarrationes in Psalmos, read widely in the Middle Ages, stand out among them. The practice of publishing Augustine’s thousands of homilies – often without the author’s control – precisely explains their dissemination and later dispersion but also their vitality. In fact, because of the author’s fame, the Bishop of Hippo’s sermons became very sought after texts and, adapted to ever new contexts, also served as models for other Bishops and priests. A fresco in the Lateran that dates back to the fourth century shows that the iconographical tradition already depicted St Augustine with a book in his hand, suggesting, of course, his literary opus which had such a strong influence on the Christian mentality and Christian thought, but it also suggests his love for books and reading as well as his knowledge of the great culture of the past. At his death he left nothing, Possidius recounts, but “recommended that the library of the church with all the codes be kept carefully for future generations”, especially those of his own works. In these, Possidius stresses, Augustine is “ever alive” and benefits his readers, although “I believe that those who were able to see and listen to him were able to draw greater benefit from being in touch with him when he himself was speaking in church, and especially those who experienced his daily life among the people” (Vita Augustini, 31). Yes, for us too it would have been beautiful to be able to hear him speaking. Nonetheless, he is truly alive in his writings and present in us, and so we too see the enduring vitality of the faith to which he devoted his entire life. Today, it is still possible to trace St Augustine’s experiences, thanks above all to the Confessions, written to praise God and which are at the origin of one of the most specific literary forms of the West, the autobiography or personal expression of one’s self-knowledge. Well, anyone who encounters this extraordinary and fascinating book, still widely read today, soon realizes that Augustine’s conversion was not sudden or fully accomplished at the beginning, but can be defined, rather, as a true and proper journey that remains a model for each one of us. This itinerary certainly culminated with his conversion and then with baptism, but it was not concluded in that Easter Vigil of the year 387, when the African rhetorician was baptized in Milan by Bishop Ambrose. Augustine’s journey of conversion, in fact, humbly continued to the very end of his life, so much so that one can truly say that his various steps – and three can be easily distinguished – are one single great conversion. St Augustine was a passionate seeker of truth: he was from the beginning and then throughout his life. The first step of his conversion journey was accomplished exactly in his progressive nearing to Christianity. Actually, he had received from his mother Monica, to whom he would always remain very closely bound, a Christian education, and even though he lived an errant life during the years of his youth, he always felt a deep attraction to Christ, having drunk in with his mother’s milk the love for the Lord’s Name, as he himself emphasizes (cf. Confessions, III, 4, 8). But also philosophy, especially that of a Platonic stamp, led him even closer to Christ, revealing to him the existence of the Logos or creative reason. Philosophy books showed him the existence of reason, from which the whole world came, but they could not tell him how to reach this Logos, which seemed so distant. 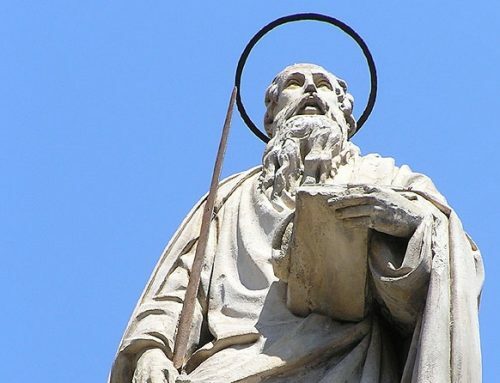 Only by reading St Paul’s Epistles within the faith of the Catholic Church was the truth fully revealed to him. This experience was summarized by Augustine in one of the most famous passages of the Confessions: he recounts that, in the torment of his reflections, withdrawing to a garden, he suddenly heard a child’s voice chanting a rhyme never heard before: tolle, lege, tolle, lege,”pick up and read, pick up and read” (VIII, 12, 29). He then remembered the conversion of Anthony, the Father of Monasticism, and carefully returned to the Pauline codex that he had recently read, opened it, and his glance fell on the passage of the Epistle to the Romans where the Apostle exhorts to abandon the works of the flesh and to be clothed with Christ (cf. 13: 13-14). He understood that those words in that moment were addressed personally to him; they came from God through the Apostle and indicated to him what he had to do at that time. Thus, he felt the darkness of doubt clearing and he finally found himself free to give himself entirely to Christ: he described it as “your converting me to yourself” (Confessions, VIII, 12, 30). This was the first and decisive conversion. The African rhetorician reached this fundamental step in his long journey thanks to his passion for man and for the truth, a passion that led him to seek God, the great and inaccessible One. Faith in Christ made him understand that God, apparently so distant, in reality was not that at all. He in fact made himself near to us, becoming one of us. In this sense, faith in Christ brought Augustine’s long search on the journey to truth to completion. Only a God who made himself “tangible”, one of us, was finally a God to whom he could pray, for whom and with whom he could live. This is the way to take with courage and at the same time with humility, open to a permanent purification which each of us always needs. But with the Easter Vigil of 387, as we have said, Augustine’s journey was not finished. He returned to Africa and founded a small monastery where he retreated with a few friends to dedicate himself to the contemplative life and study. This was his life’s dream. Now he was called to live totally for the truth, with the truth, in friendship with Christ who is truth: a beautiful dream that lasted three years, until he was, against his will, ordained a priest at Hippo and destined to serve the faithful, continuing, yes, to live with Christ and for Christ, but at the service of all. This was very difficult for him, but he understood from the beginning that only by living for others, and not simply for his private contemplation, could he really live with Christ and for Christ. Thus, renouncing a life solely of meditation, Augustine learned, often with difficulty, to make the fruit of his intelligence available to others. He learned to communicate his faith to simple people and thus learned to live for them in what became his hometown, tirelessly carrying out a generous and onerous activity which he describes in one of his most beautiful sermons: “To preach continuously, discuss, reiterate, edify, be at the disposal of everyone – it is an enormous responsibility, a great weight, an immense effort” (Sermon, 339, 4). But he took this weight upon himself, understanding that it was exactly in this way that he could be closer to Christ. To understand that one reaches others with simplicity and humility was his true second conversion. But there is a last step to Augustine’s journey, a third conversion, that brought him every day of his life to ask God for pardon. Initially, he thought that once he was baptized, in the life of communion with Christ, in the sacraments, in the Eucharistic celebration, he would attain the life proposed in the Sermon on the Mount: the perfection bestowed by Baptism and reconfirmed in the Eucharist. During the last part of his life he understood that what he had concluded at the beginning about the Sermon on the Mount – that is, now that we are Christians, we live this ideal permanently – was mistaken. Only Christ himself truly and completely accomplishes the Sermon on the Mount. We always need to be washed by Christ, who washes our feet, and be renewed by him. We need permanent conversion. Until the end we need this humility that recognizes that we are sinners journeying along, until the Lord gives us his hand definitively and introduces us into eternal life. It was in this final attitude of humility, lived day after day, that Augustine died. This attitude of profound humility before the only Lord Jesus led him also to experience an intellectual humility. Augustine, in fact, who is one of the great figures in the history of thought, in the last years of his life wanted to submit all his numerous works to a clear, critical examination. This was the origin of the Retractationum (“Revision”), which placed his truly great theological thought within the humble and holy faith that he simply refers to by the name Catholic, that is, of the Church. He wrote in this truly original book: “I understood that only One is truly perfect, and that the words of the Sermon on the Mount are completely realized in only One – in Jesus Christ himself. The whole Church, instead – all of us, including the Apostles -, must pray everyday: Forgive us our sins as we forgive those who sin against us” (De Sermone Domini in Monte, I, 19, 1-3). Augustine converted to Christ who is truth and love, followed him throughout his life and became a model for every human being, for all of us in search of God. This is why I wanted to ideally conclude my Pilgrimage to Pavia by consigning to the Church and to the world, before the tomb of this great lover of God, my first Encyclical entitled Deus Caritas Est. I owe much, in fact, especially in the first part, to Augustine’s thought. Even today, as in his time, humanity needs to know and above all to live this fundamental reality: God is love, and the encounter with him is the only response to the restlessness of the human heart; a heart inhabited by hope, still perhaps obscure and unconscious in many of our contemporaries but which already today opens us Christians to the future, so much so that St Paul wrote that “in this hope we were saved” (Rom 8: 24). I wished to devote my second Encyclical to hope, Spe Salvi, and it is also largely indebted to Augustine and his encounter with God.